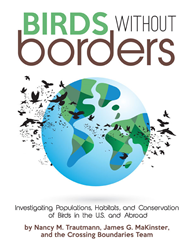 Birds Without Borders: Investigating Populations, Habitats and Conservation of Birds in the U.S. and Abroad. 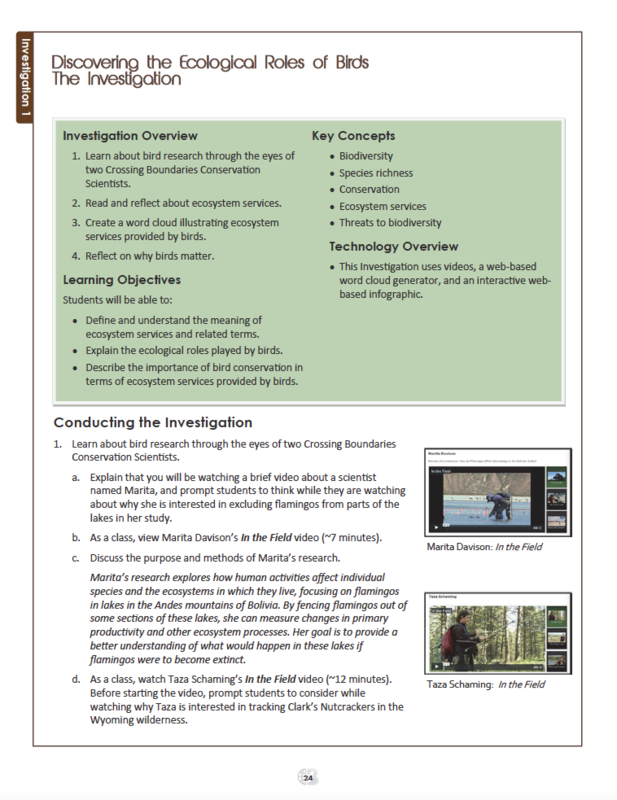 Using bird observation data from a number of sources, the text guides teachers and students through specific investigations into questions concerning the habitat needs of nesting birds, modeling bird population trends, tracking birds with citizen science, and planning effective conservation strategies. Using data sets, web-based mapping, and other tech tools, students are exposed to key concepts in science, as they build quantitative skills and engage in critical reading and writing while addressing real-world issues relevant to biology, environmental science, general science, and various elective courses. 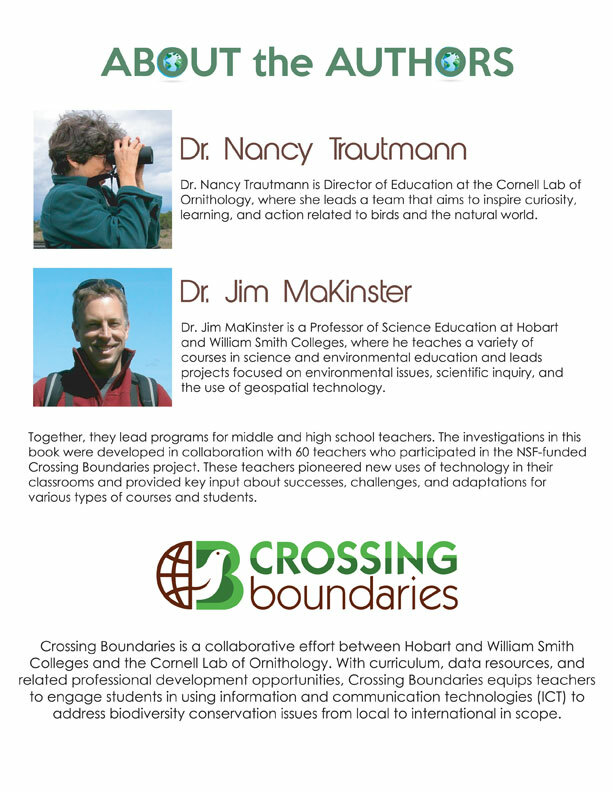 “Birds Without Borders” is part of the Crossing Boundaries project, and is written by Nancy Trautmann, from the Cornell Lab of Ornithology, Jim MaKinster, from Hobart and William Smith Colleges, as well as the Crossing Boundaries team of education specialists, scientists, teachers and students. It is the first in a series of four Exploring Biodiversity Using Information Technologies Carte Diem Press books, and can be ordered in print or digital form at the Carte Diem Press online store. 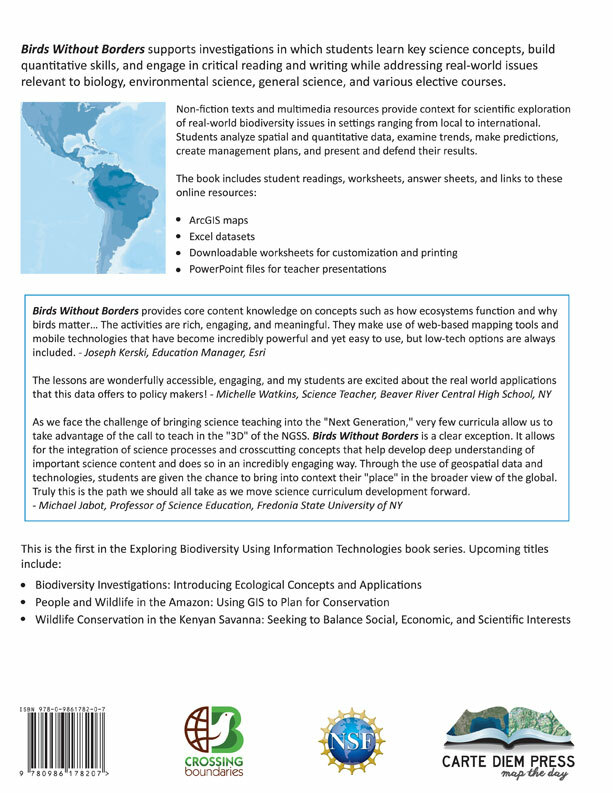 The Crossing Boundaries project was funded by the National Science Foundation to engage students in using information and communication technology for investigating issues related to biodiversity in the U.S. and abroad. Carte Diem Press is the publishing division of Critical Think Inc. and works in concert with the consulting division, GIS Educational Technology Consultants (GISetc). 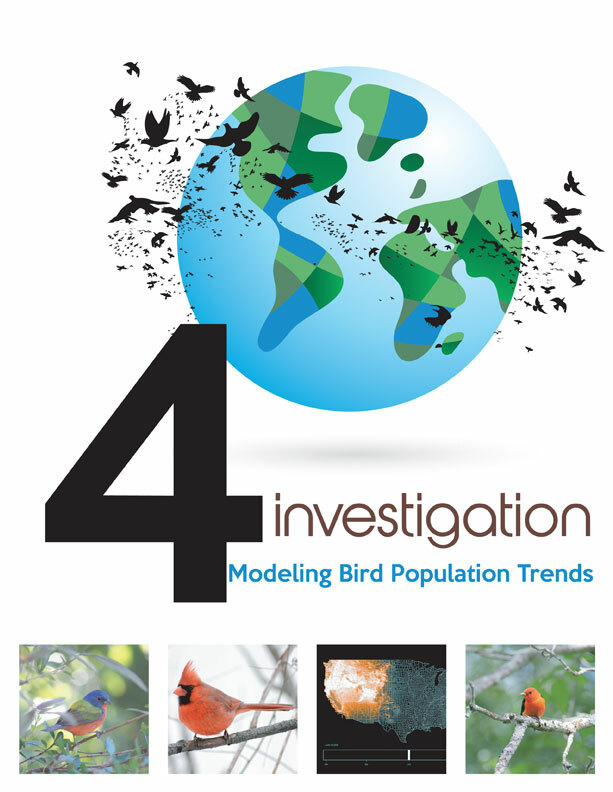 Birds Without Borders joins a growing, academically broad collection and regardless of experience level, Carte Diem Press has an educationally sound geospatial technology solution. Carte Diem Press – map the day!